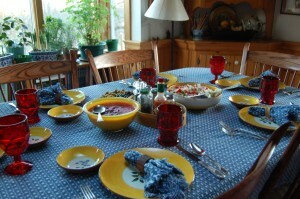 The table was full, the food delicious, the company excellent…. The dog has had a most excellent Thanksgiving…. and progress is happening on a VIP (Very Important Project)….